My girls are my joy. My life feels so great having them around. Sure they can get on my nerves and bug me at times, but most of the time we are like 3 peas in a pod. The other day, I laid in bed and realized my life really isn’t the same now that I have become a mother. I wouldn’t trade them for anything else in the world but things are very different now. Sure, we all have to make sacrifices and I make my fair share, but I also think it is important to do some things for yourself too. Here are a few sacrifices I’ve made and my public expression of how I plan to make some changes. 1. I don’t have time for professional manicures or pedicures. Since my daughters arrived, I’ve only had my nails done twice, once for a friend’s wedding and the second time I was at BlogHer’12 (and that was an unplanned much needed surprise). While I don’t get my nails done professionally, I do get together with my kids and we do our nails, well I do their nails and mine. We pick out polish, put on a good movie, put our feet in a warm mini-foot spa, and paint our nails while enjoying each others company. Frankly, I am OK with not getting my nails done, but I would like to look a little more polished at times. My plan – overall, I am content with my girl party and doing my kids nails and mine. I just need to add our girl-party to my schedule more often. 2. I haven’t had my hair done professionally since I became a mother. Yes, I haven’t stepped into a hair salon in 4 years. It’s amazing, I didn’t even realize it. I have two daughters who I spend my time with. I spend a lot of time doing their hair, and when time is left I do my own, I go the quickest and easiest routes. Now, I finally understand why growing up some moms looked tired and frazzled, while their kids looked well-groomed and beautiful. Thankfully, I get the best of both worlds because I have a close friend who has come to my home and twisted my hair for me when she can. She has no idea how much I appreciate the moments she has given me of her time. Her selfless act, makes me feel like a queen. Truthfully, I need to make an appointment at least once a year to have something nice done for a special occasion. Which means, that I need to go somewhere special and take pictures to remember the moment. Hah, don’t laugh, I realize I only wrote once a year. I have to start small. 3. I haven’t been to the movies. I never thought becoming a mom would mean that finding time to watch a movie would become a rare luxury, but I guess it is. We haven’t taken our girls to the theater yet, mainly because my kids say almost everything other than Planet Earth movies is scary. Normally, we end up waiting until movies come out on DVD or Netflix so that we can watch them together, so most of the movies we see are child-friendly family movies and nothing just for grown-ups. My plan – I’m going to ask my friends if I can join them the next time I hear they’re going to catch the latest movie, and see if my husband will babysit our girls. 4. My husband and I have only been on 4 dates since our kids were born, which is an average of 1 date a year. When you have twins, it is rare that people will volunteer to watch both of your children. You can always hirer a sitter, but our trust level is very low. We are blessed that several of our closest friends have volunteered to watch our girls, which is how we have gone out 4 times. Overall, I am so grateful and appreciative of their willingness to help us out so that we could have a few minutes of alone time together. The last time we had some alone time on a date it was a bit awkward, all we talked about were our kids. For the most part, my husband and I babysit for each other. We don’t go out a whole lot, but when we do, I feel like going to the grocery store alone is a vacation. Now that my kids are older we are more willing to let our friends watch our children, but it always feels like we are intruding on them. I know that my friends are really busy so we don’t want to impose. I think it is important though to keep your relationship intact, so I recommend going out together at least once a month. My plan, let’s start with baby steps, we’ll try to go out at least once every 6 months. In the meantime, we enjoy nature walks, going to museums and other places as a family. 5. I don’t celebrate my birthday. OK, if you’re reading this post, you have probably already figured it out. At the root, I’m frugal and boring. Some of it is just my personality while at other times I secretly long for days when I can do something so exciting for my birthday it would be worth blogging about or posting on Facebook, but alas I guess having spontaneous fun just isn’t who I am and it becomes harder after a person’s family expands. 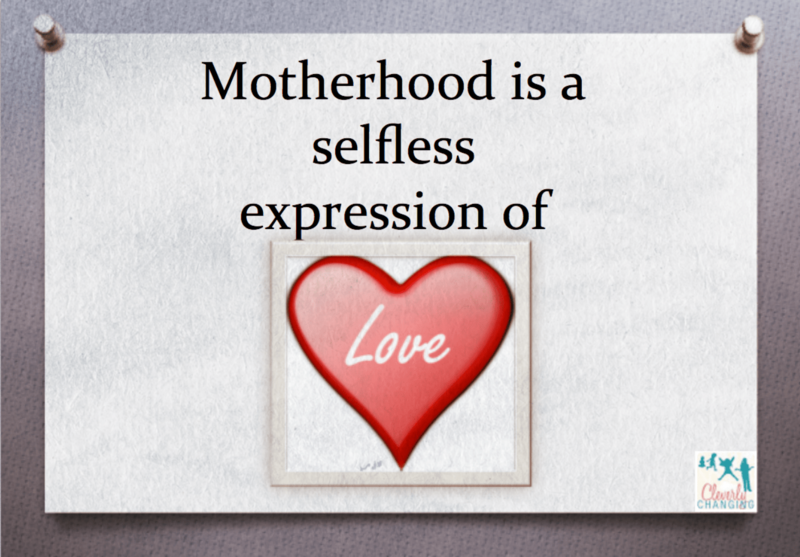 Motherhood is a expression of selflessness. While it is one of the greatest privileges, it can also be one of biggest battles when you find yourself slipping away while you have a calendar full of activities to accommodate everyone else. It is important to continue to live for you. But it is all about perspective. You can look at your sacrifices as restrictions or you can consider them stepping stones to find time to continue to do the things you enjoy. I am sometimes quick to give everyone else advise, but I have to learn how to show that same love I have for my children for myself, I have to learn how to live too.